1904: Finished secondary school in Haskovo. BAPU functionary. 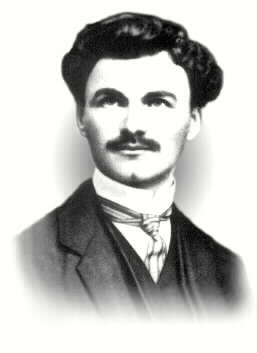 1906 - 1910: Graduated Law in Geneva and Sofia. 1914 - 1918: Arrested for anti military activities. 1920 - 1923: MP. State Prosecutor; prepared the indictment against the perpetrators for the National Catastrophes. 1921 - 1923: Minister of Justice in Stamboliyski's Cabinet. 1923: Head of the Ministry of Finance in the second Stamboliyski's Cabinet. Arrested after the 9th of June coup d’etat, brought to trial and acquitted. 1925: Killed in the Police Directorate after the assault on the St. Nedelya Church.